An Italian feast 9,716 feet above sea level was a great way to cap off our recent Steamboat visit. Dining at the Four Points Lodge - reached by starlit gondola and then short snowcat ride - is a signature experience, with wine tastings, hors d’oeuvres and five creative courses served in the subtly transformed ski lodge. White tablecloths and intimate settings are illuminated by the roaring flames from the towering stone fireplace with attentive wait staff circulating, all dressed alike in smart ski sweaters. Fab food and a romantic experience we’ll remember for a long time. Dr Simon Hudson, practicing what he preaches! I was there with Dr Simon Hudson, who was researching customer service excellence in Steamboat for an article for Hotel Business Review in www.hotelexecutive.com. 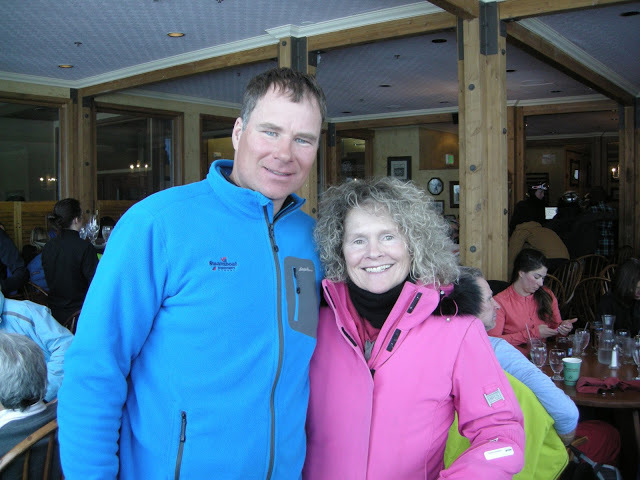 In 2014 Steamboat Ski and Resort Company and Steamboat Springs Chamber Resort Association started an innovative project to train the entire town in topnotch customer service skills. Having written about this originally in our book, Winter Sport Tourism, Simon was there to monitor its progress. You’ll have to wait until his upcoming article to find out his conclusions! The Northern Italian slow-food philosophy at Four Points Lodge gave us the chance to digest the downhill portion of our trip, which had started two days before with a sensational ski day with Olympian, Linas Vaitkus. One of an amazing 88 Olympians living in town, Linas grew up at Steamboat, skiing down from his mountainside home to the resort base. Racing during university in New Mexico and Colorado, he became the Head Alpine Coach for the USCSA ski team. 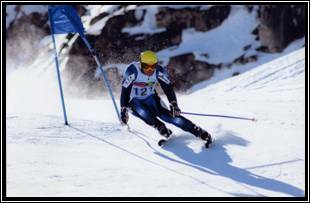 To fulfill his dream of competing in the Olympics, he used his Lithuanian citizenship, becoming the first alpine ski racer in the history of Lithuania at the Nagano Games in 1998. He funded his competitive career himself through carpentry work in Steamboat during the summers. 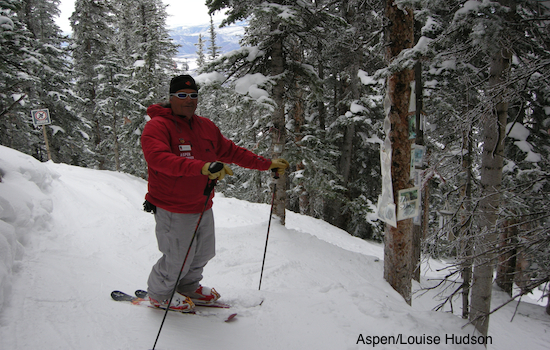 In winter he is a race trainer as well as a PSIA Level 3 Certified Ski Instructor. “There are more Olympians here than any other ski town in North America,” says Linas. He attributes this to the great snow and terrain in Steamboat, a strong ski culture, and impact of the legendary Olympic skier, Buddy Werner who, Linas says, put ‘Ski Town, USA’ (Steamboat’s logo) on the map. There is a statue of Buddy (who died young in an avalanche during a Bogner film shoot in Switzerland) opposite the Storm Peak Express download on Mt Werner – originally called Storm Mountain but renamed in Buddy’s honour in 1965. It is considered good luck to tap him on the shoulder as you pass with a ski pole. “He was very inspirational, a charismatic character as well as a great skier,” Linas explained, as he guided us down Buddy’s Run – a trail that we would return to early the next morning to take advantage of the nine inches of overnight powder. We finished the day off by skiing through the night-skiing area where cutting-edge Ultra-Tech lights illuminate the five runs and terrain park features off the Christie Peak Express - with great clarity but minimal light pollution - every Thursday through Monday (and every day during the Christmas season). Steamboat’s skiing encompasses a complete mountain range with 2,965 skiable acres over Sunshine Peak, Storm Peak, Thunderhead Peak, Pioneer Ridge, and Christie Peak. There are 16 lifts, 165 trails (14% beginner, 42% intermediate and 44% advanced) as well as a Superpipe and terrain park. Powder paragons flock to the glades of Pioneer Ridge, Sunshine and Storm Peak. The longest run, 'Why Not', goes on for over 3 miles, snaking its way through Burgess Creek and the aspen glades of the Routt National Forest, back down to the Thunderhead Express. On top of the hefty 349"/886cm of snowfall annually, the resort has snowmaking capacity for 375 acres. Our second day we experienced some of that 349 inches, waking up to nine more which had fallen overnight, plus crystal clear skies. Needless to say the gondola lift-line was lengthy even at 8:15 am, with the singles line actually longer than the regular line, so we skipped it and made our way up to Buddy’s Run via the chairlift system, asking other skiers the way. We skied pristine powder – lightest on skier’s left as Linas had promised - until 10:30 and after that had to look much harder for untrammeled tracks but there was good snow all day, especially in the aspen glades. It was great being able to pop back to our apartment at the Steamboat Grand for a late lunch, just over the road, with a handy ski valet to leave the skis near the gondola. There’s also a large, well equipped gym, which we used for stretching, and sociable hot tub area. And the free buses, linking downtown and all the resort facilities in between, stop right outside the Grand. Exploring Steamboat Springs is a must – especially the 112 year-old western footwear and clothingstore, F. M. Light & Sons which we had seen advertised on countless ancient billboards dug into the rolling ranch lands en route from Breckenridge. Founded in 1900, Steamboat has many historical buildings still intact including the Romanesque Revival style First National Bank/Rehder Building - which has gone through regular reinventions from Ford Garage offices, a creamery and cheese factory, an auto parts store, dentists, retail space, photography studio, and three restaurants. It was added to the National Registry of Historic Places in 1994. 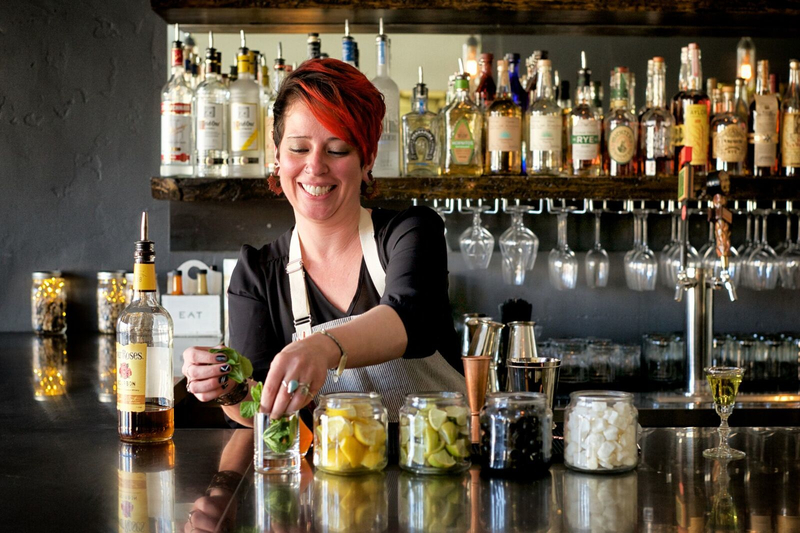 But it’s not all history and heritage: Steamboat is modernizing, with newer shops and eclectic eateries popping up. One of these is LOW Country Kitchen, which serves Carolinian culinary concoctions in an upbeat, trendy ambiance. 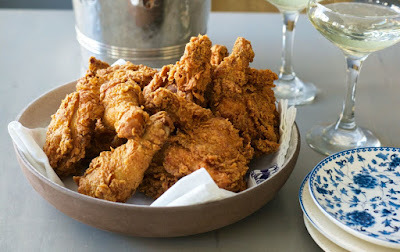 Southerner, Katy Vaughn and husband Chef Brian Vaughn pride themselves on providing a healthier version of items such as fried green tomatoes, fried chicken, grits and cornbread. Everything is home cooked using slow marinating methods and much less grease than is prevalent in Carolina cooking. Since opening in 2014 the concept has really taken off, leading to a second branch which has just opened in Denver. A recent housing boom in Steamboat Springs has echoed this modernizing motif with new builds featuring contemporary designs, open floor plans, modern windows, low pitched roofs, steel, salvaged timbers and other environmentally-friendly materials – what is increasingly being called ‘Rocky Mountain Modern’. One of Steamboat’s staples is Smartwool, the merino wool specialists, which has been based there since launching in 1994. “The Smartwool story started on a rugged Colorado ski slope with the belief that toes don’t have to be cold," explains Molly Cuffe, Smartwool global communications director. "Now we continue to challenge convention while seeking comfort solutions for the entire body." Pushing the boundaries of merino wool design and textile technology, the company builds smart products for active outdoor lifestyles inspired by the Steamboat Springs environment. "Our goal is to deliver extraordinary comfort from the inside out," says Molly. "We start with the highest quality Merino and place it next to the skin where the natural benefits of wool really shine – moisture management, breathability, temperature regulation, etc. By using gender-specific body mapping in our products, all ventilation and heating zones are strategically placed zones to help the body work more efficiently. Ultimately, this keeps people more comfortable outside doing what they love." The savvy Smartwool Fan Field Tester program creates brand ambassadors who drive product innovation by assessing apparel and sharing feedback. 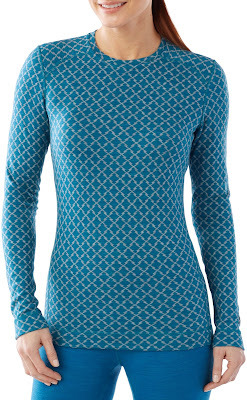 Products - including everything that can be made of this warmest of wools from socks to hoodies, hats, gloves, dresses, underwear and sweaters - can be found in specialty ski and outdoor retailers, and online at Smartwool.com. "Of course, all Smartwool products come with a 100-percent satisfaction guarantee,” Molly adds. Other local businesses worth checking out include Honey Stinger which makes honey-based nutrition bars and snacks. For more decadent delicacies there is Daniela’s Chocolates, where Swiss-trained pastry chef, Daniela creates toffees, truffles and roasted nut confections. There are four craft breweries in town, notably Storm Peak Brewing, launched by brothers Wyatt and Tyler Patterson in 2014, which has developed a range of beers now distributed across Colorado. And there are lots of unique shops in town such as Nutterly By Nature (gluten-free), Moon Hill Dairy and Little Moon Essentials for natural bath and body products. 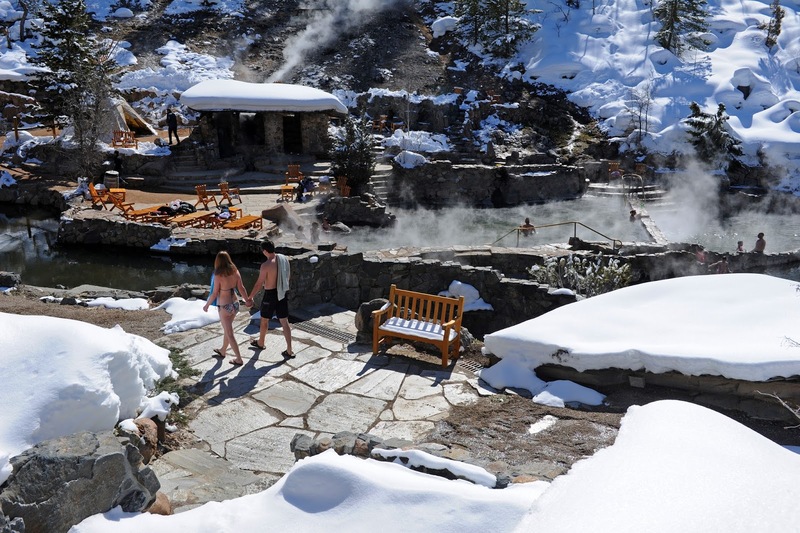 Hot springs are a signature Steamboat attraction with Strawberry Springs one of the most famous for its fairy grotto setting,104 degree natural mineral water and adult-only hours after 4:30 pm (someone told me swimwear wasn’t necessarily mandatory!) Check out the private massage huts and watsu therapy in the private pool. Book a tour to avoid driving difficulties but if you do go independently bring cash to pay for entrance fees and make sure you have a 4WD with snow tyres or chains. 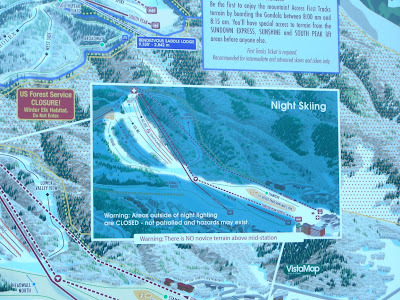 Steamboat Ski Resort is around three hours drive from Denver and you can also fly into Steamboat Springs Airport. With a huge variety of accommodation both on the hill and in town, there are lots of lodging/ski packages available and, if you’re going with kids (or grandkids), check out the 12-and-under ski free deal on 5-day visits. As well as all the sensational skiing, snowboarding and varied après ski options, other activities include horseback rides, snowmobiling, sleigh ride dinners, multiple hot springs choices, spa services, and winter photography tours, most of which regrettably we didn't have time for as we were only there a couple of days. But the skiing, the snow, the scenery and the established ski culture made us want to go back soon for more! With ski resorts in 40 of the 50 states of America and an estimated 600 ski hills, U.S. skiing is unbelievably varied and prolific. Resorts range from small locals’ hills with one or two lifts to the mega-resorts of Vail, Aspen/Snowmass, Heavenly and Squaw Valley each of which comprises around 4,000 skiable acres. 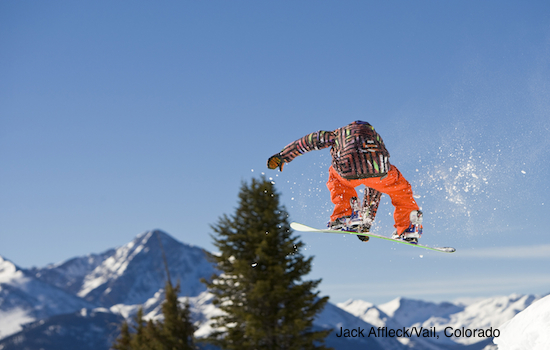 Skiing is plentiful in the Rocky Mountains, the Northeast, the Pacific West, the Midwest and the Southeast. 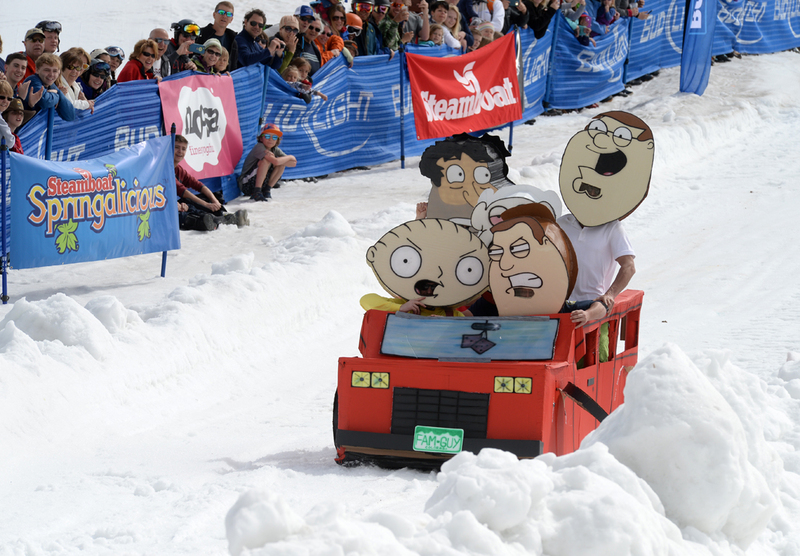 The chief skiing states are Colorado, Utah, Montana and California in the West and Pennsylvania, New Hampshire, Vermont and Maine in the East. 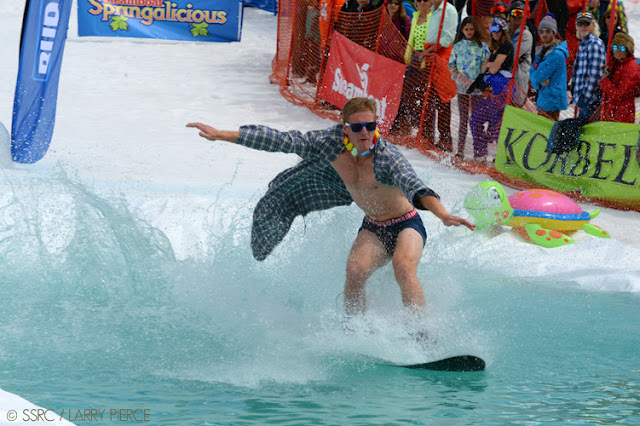 Colorado’s top tourist resorts include Aspen/Snowmass, Vail, Beaver Creek, Breckenridge, Keystone, Telluride, Steamboat and Durango. 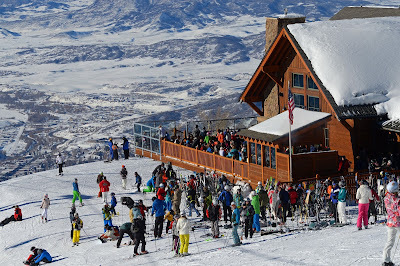 Utah boasts Park City, Alta, Snowbird, Deer Valley, Sundance and Brighton as well as many other smaller hills. Montana has extensive resorts at Whitefish and Big Sky. Californian skiing includes Heavenly and Squaw Valley in the Lake Tahoe area and Mammoth further south. Eastern U.S. skiing is focused on major resorts at Stowe and Killington in Vermont, Lake Placid area in New York State, Black Mountain at Jackson, New Hampshire and Sugarloaf in Maine. 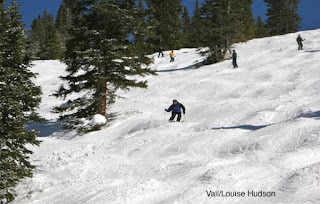 There is also good skiing at Taos Ski Valley, New Mexico. Those with the greatest vertical (over 1,200m) include Aspen/Snowmass in Colorado, Big Sky in Montana and Jackson Hole, Wyoming. While this sort of vertical is not as dramatic as many European resorts, it yields challenging skiing coupled with superior snow conditions. One big difference between North American and European ski resorts is that the Americans keep all the skiing within resort boundaries, maintaining it as patrolled and skiable terrain. In Europe there are “off-piste” areas within the domain which are not patrolled and are only for advanced backcountry skiers or those with guides. Many Colorado resorts have very high altitude skiing, between 2,400m and 3,600m above sea level which can require some acclimatization and a good level of fitness. It also leads to colder temperatures up top. Although every resort worldwide can suffer from a dry snow season occasionally, snowfall is not usually an issue in the western resorts of North America. 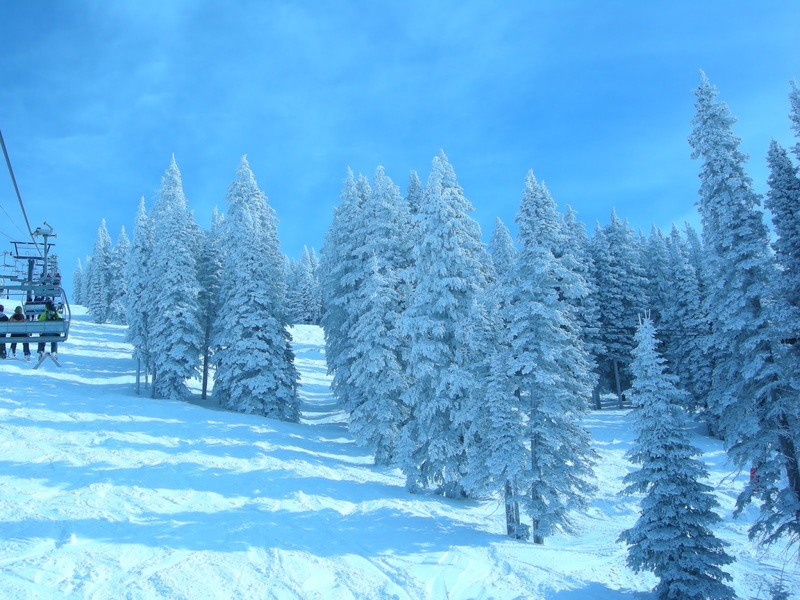 Ski areas such as Alta and Snowbird in Utah average around 1,270cm annual snowfall as does Kirkwood in California. 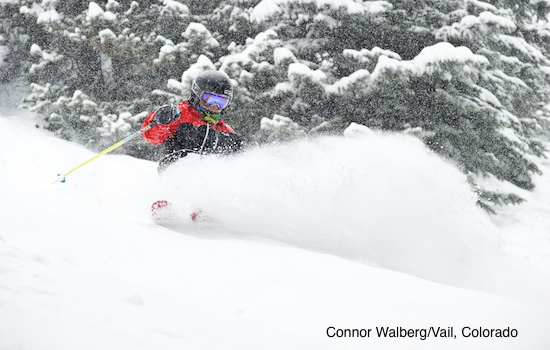 Most of the major resorts clock up more than 8m of seasonal snow. Natural snow in the east can be wetter, leading to icier conditions, and has to be supplemented by artificial snow throughout the season but there can be some great groomed skiing perfect for beginners and intermediates. Another noticeable difference between the U.S. and Europe, is in the lift line system. It can be a free-for-all, unmannerly scrimmage in Europe with a “survival of the fittest” attitude; whereas in America it is a more orderly, monitored system conducted with jovial politeness. Most U.S. resorts only have long line ups at peak holiday and weekend periods and there is generally a less dense concentration of skiers in North American resorts. Grooming of ski runs can also be more fastidious in America and there is often a particular emphasis on friendly service which filters right down to the lift attendants or “lifties”. 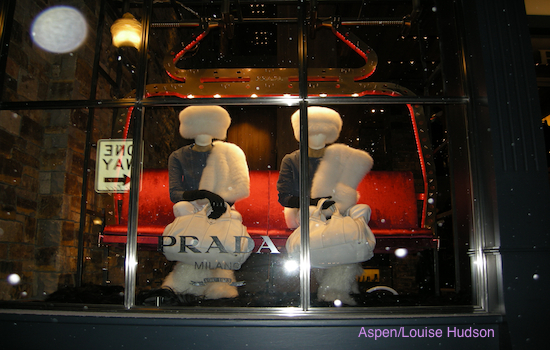 Considered the chicest resort in the United States, Aspen/Snowmass is a winter favorite of screen stars such as Goldie Hawn, Melanie Griffith and Jack Nicholson and was graced by Michelle Obama and kids in the 2011/12 season. The huge Aspen area encompasses four mountains in the White River National Forest - Aspen Mountain, AspenHighlands, Snowmass and Buttermilk - each with its own character. All are linked via a free ski bus which operates daytime and evening. Snowmass is the biggest resort in Aspen’s “Power of Four” with 91 trails over 3,132 acres plus terrain parks and halfpipes. It’s a great family mountain with its Treehouse Kids’ Adventure Center and entertaining Big Air competitions every Friday. 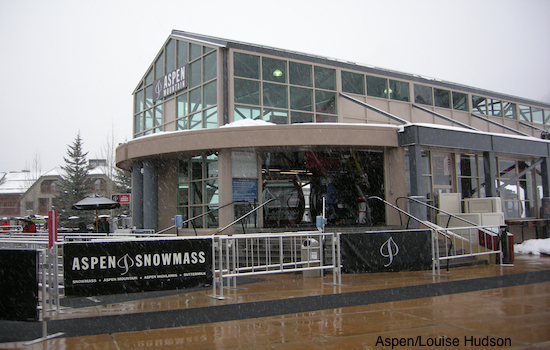 Aspen Mountain is known as black-diamond territory with its great variety of glades, bumps and steep pitches. This is where the “Bumps for Boomers” program is held, run by founder, Joe Nevin and his team of over 50s instructors. 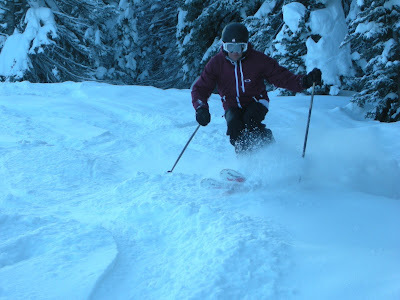 The course is for mature skiers who want to master graceful and lasting techniques on varied snow which will keep them skiing effortlessly into their seventies. Nevin says the aim is “to be balletic not ballistic” and to overcome terrain anxiety. 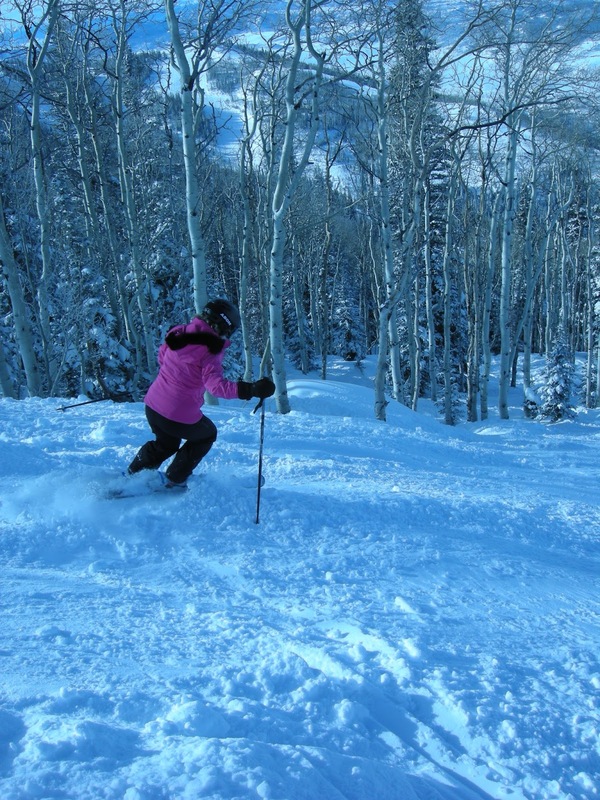 Aspen Highlands also draws more expert skiers and snowboarders with its hikes and backcountry-style ski terrain overlooking the Maroon Bells mountains. There are 135 kilometers (84 miles) of trails with the longest 5.5 km (3.5 miles). A new section of 237 skiable acres has been added recently from the Deep Temerity lift to enhance the big-mountain feel of the domain. Famous since 2012 as the host to the ESPN Winter X Games, Buttermilk has been catering for beginners and families for over 50 years. There is no expert terrain but an abundance of beginner to intermediate trails. The two, award-winning terrain parks incorporate over 100 different features, including a 22-foot superpipe and an X Games slopestyle course. There are also beginner features in the Ski and Snowboard Schools Park as well as the Panda Pipe. Pampering is predominant at Aspen’s ski stations with luxurious, heated sidewalks and stairways all around the gondola station and ski school area at Aspen Mountain. There are ski concierges at the base and free coffee kiosks dotted around. On the hill, skiers can get complimentary cider from barrels and rehydrate at a ski-through water fountain. The lodges on the hill are equipped with deep relaxation massaging chairs and there are private club levels for high flyers costing up to $80,000 to join. 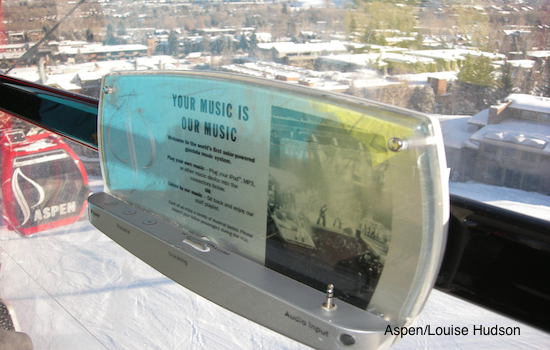 Aspen Skiing Company has also integrated sound systems into its gondolas - look out for the red cars which have iPod decks. And, for the very rich or very ostentatious, there are Snow Limos for rent. Aspen was the former home of country singer John Denver who is remembered by locals at a mountain shrine. 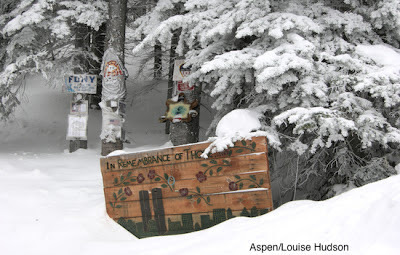 There are now around 50 shrines across the four hills, with pictures and memorabilia tacked to trees off the sides of runs. The largest ski resort in the United States, Vail is also one of Colorado’s most upmarket destinations complete with underground heating to keep sidewalks snow-free in designer retail and hotel areas. Vail attracts top quality restaurants featuring celebrity chefs and avant garde food to cater for its many rich and famous patrons. 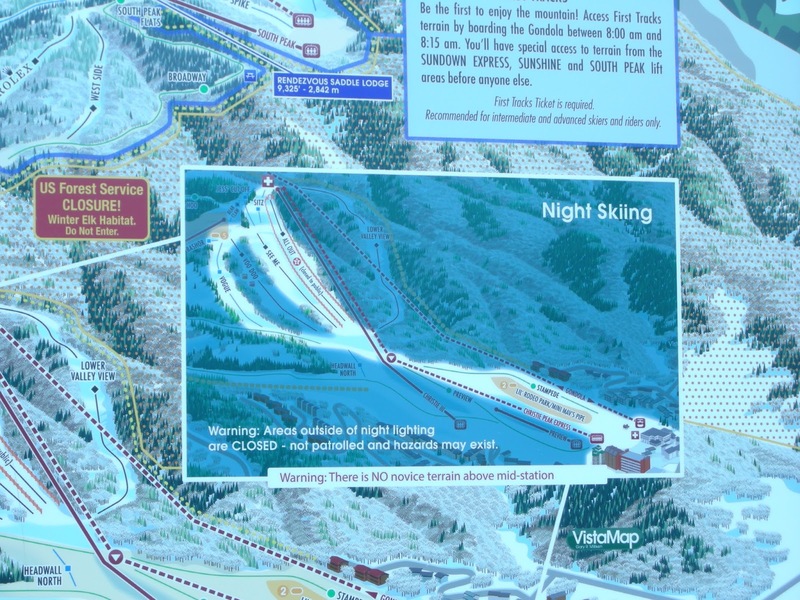 It is also a “mega resort” with three separate satellite areas - Lionshead (where Olympic and World Cup champ, Lindsey Vonn lives), Vail Village and Golden Peak - linked by the extensive lift system plus a shuttle bus service day and night. There might be a focus on cutting-edge après-ski, but Vail is still fundamentally a skiers’ resort with its vast array of 193 runs, undulating glades, and broad bowls spread over 5289 skiable acres. There are also three terrain parks including a superpipe and halfpipe. Around 53 percent of the skiable domain is expert standard with 29 percent intermediate and 18 percent designated beginner slopes. Most of the front side of Vail is groomed with wide, long runs such as Riva Ridge, Born Free and Simba, as well as the Kid’s Adventure Zones and three terrain parks. As well as expansive views, the Back Bowls provide wide open skiing and glades. Although much of this area is black or ungroomed, there are blue runs in China Bowl. And when all the powder is tracked out, there is usually untouched snow to be found at Siberia Bowl off the #22 T-Bar lift. Vail’s lifts are both named and numbered with most locals referring to them numerically. 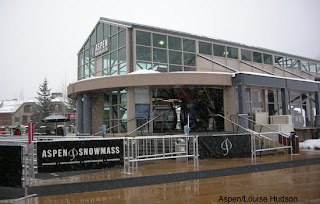 Chair 16 in Vail Village was replaced by a state of the art gondola for 2012/13 season with heated seats and Wi-Fi access. One of the really unique things about Vail is its radio frequency and EpicMix-enabled Epic Pass. Vail’s innovators have gone beyond the usual ski pass attributes - such as hands-free access to lifts and double duty as a credit card - by providing a photographic and social media app. Pass holders can use this free app on their smart phones to download and tweet photos taken by EpicMix photographers stationed around the mountain. They can also add their own photos. The app provides lots of interesting challenges - such as clocking up vertical feet, using all the lifts in one day, trying to ski all the runs - for which the user is awarded a digital “pin” for each accomplishment. At the end of the ski day, users can put all their photos and achievements together with resort pictures, statistics and trail maps, making a collage on their computers. It’s fun and easy to do and creates a very professional looking personalized postcard to send out to friends via email or Facebook. 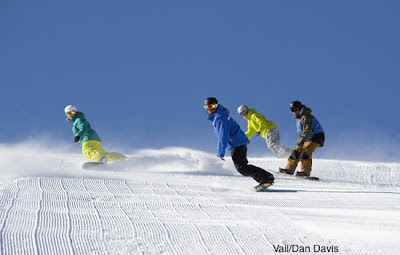 With such vast and varied terrain, Vail offers several choices of complimentary mountain tours each day both for skiers and snowboarders of every ability. 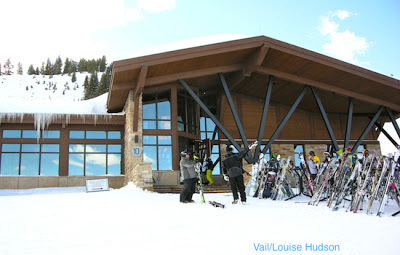 The two-hour General Mountain Tours meet at The Grand Press at the top of the Eagle Bahn Gondola (#19) and also at the Mid Vail Ski and Snowboard School each morning at 10:30. The higher level Blue Sky tour leaves at 11:00 am from Henry’s Hut at the top of Chair 4. And the 50+ specific tours meets at Eagles Nest on Mondays at 9:30am. 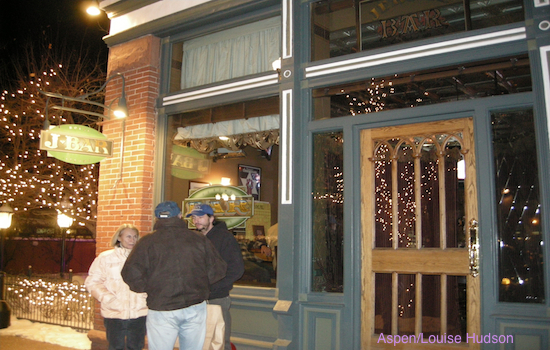 Of the ten mountain eateries,“The 10th” is the newest. Right in the heart of Vail Mountain, it provides a fine dining experience (complete with slippers and silver service), overlooking the majestic mountains of the Gore Range and the activity around the hub of lifts below. As Vail Resorts also owns nearbyBeaver Creek, Breckenridge and Keystone, skiers can try out four resorts over a week’s vacation all from the same lift pass. Vail Resorts also owns Heavenly at Lake Tahoe, California and has also just bought neighboring Northstar and Kirkwood Mountain Resorts.